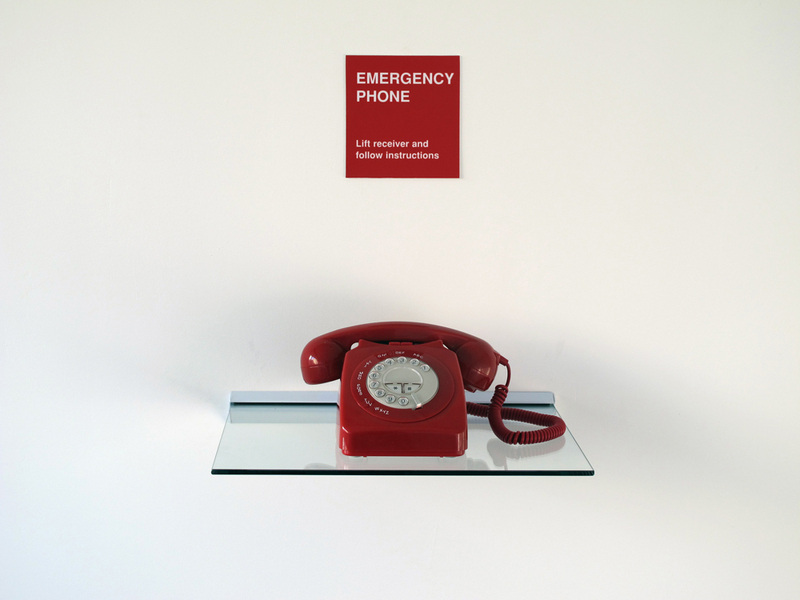 A modified telephone accompanied by a sign which reads, ‘Emergency Phone. Lift Receiver and Follow Instructions’. Upon lifting the receiver, the only thing that can be heard is a continuous recording of birdsong.